With polling day for the General Election only days away, a leading motorists' group has slammed politicians for ignoring the motoring public. The Association of British Drivers (ABD) says Britain's 33m motorists have little incentive to vote for any of the main political parties. Nick Clegg may have impressed in recent TV debates between the three main party leaders, but the ABD warns a vote for the Lib Dems is a 'vote for road pricing'. "The Lib Dems intend to cut £3bn of funding from our crumbling road system that carries 92 per cent of passenger journeys in favour of rail that carries only seven per cent," said a spokesman for the ABD. David Cameron's Conservatives – the party that is leading many polls – is planning to clobber drivers with more toll roads and in spite of a promise from Labour not to introduce road pricing in the next Parliament, they haven't ruled out introducing it in the future – despite 1.8m drivers signing a petition against it. The ABD spokesman added: "Neglecting car transport doesn't make social or economic sense. The Treasury makes a net gain of 4p for every mile that is driven by car, but loses 6p per bus passenger mile and a staggering 21p per mile travelled by rail passengers. 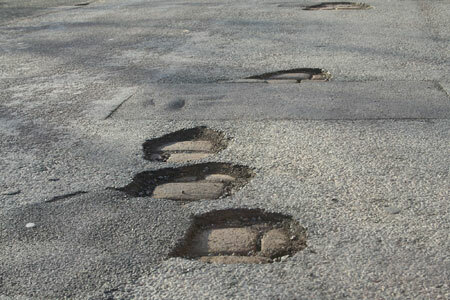 Drivers pay around £50bn a year in motoring taxes yet only about £8bn is spent on the roads in return." The political parties will ignore motorists at their peril though. A recent survey by used car website Motors.co.uk found transport issues were top of voters' agenda. "Motorists across the UK are fed up with being ignored by politicians," said the website's Katie Wardle, "Scrappage, fuel tax and the appalling state of the nation's road network are real areas of concern for motorists." Meanwhile, Edmund King, the AA's President, believes transport issues are 'an election black hole' and urged voters to push candidates on these issues. "Transport issues affect the vast majority of the population every day of the week, whether it is the high cost of fuel, traffic congestion, lack of parking or potholes. Yet transport has hardly featured in the election campaigns to-date." Do you agree, what are your concerns for your motoring future? Use the comments box below and let us know.